Welcome to Franklin, North Carolina! 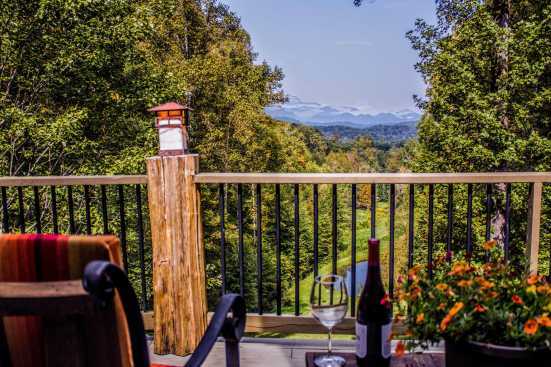 Located in the mountains of Western North Carolina, this area offers cabin rentals in the heart of some beautiful nature. The mountain hills offer incredible hiking opportunities with views of streams, waterfalls, and valleys. The town offers a lot of hometown shops, events, and festivals. The cabins in this area provide some of the most breathtaking views you will see! One of the other attractions Franklin is known for is its museums. Franklin offers 3 museums that display the town's heritage and much more. This is a great area for those looking to explore or even an outdoor family vacation. Find the perfect cabin rental in Franklin, North Carolina. If you are looking to explore the Smoky Mountains, a cabin rental may be the choice for you. Enjoy incredible mountain views from the deck, hot tubs and easy access to mountain trails and adventure. Condo rentals are great when traveling in large groups or if you need more than one unit. Franklin condo rentals offer private balconies with great views, fully furnished kitchens and much more! Find your next Smoky Mountain condo rental on SMBYO.com! What are popular places to visit when visiting Franklin? If you are looking for relaxation and adventure, Franklin, North Carolina is the place for you! With endless quality restaurants, family attractions, entertainment and nightlife, you are sure to love your Franklin vacation. Yes! We love our pets and are sure you do too! SMBYO has many pet friendly rentals in Franklin. You can use our Advanced Search feature to narrow down our Franklin rental properties to just show those that are pet friendly. Are any of the Franklin rentals on SMBYO online bookable? Yes, when viewing Franklin rentals on SMBYO you will see two options. Properties that are online bookable will be labeled with our Book Online icon. You can select the Franklin rentals that have our Book Online icon to book them directly on SMBYO.